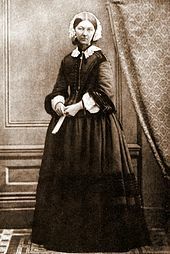 Nurses Week starts tomorrow, May 6, which is known as National Nurses Day and ends on Florence Nightingale’s birthday, May 12th. While I feel nurses deserve appreciation for their work 365 days a year, who am I to disregard an opportunity to spotlight actual nurses and their contribution to health and healing. 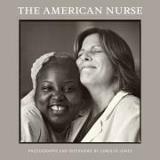 I have previously blogged about The American Nurse Project, which shares photographs and narratives of nurses at work. The story of each nurse is moving and educational—telling the reader what nurses really do. Check this site, which singles out a few of the contributors. For example, Jason Short (#6) states, “I have found that once you get a taste for helping people, it’s kind of addictive. You want to empower yourself to be more and more helpful.” So he’s back in school to become a nurse practitioner. 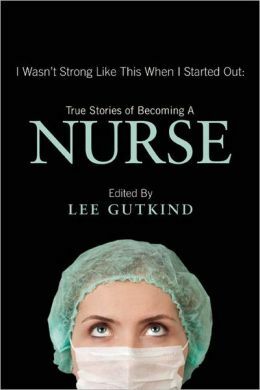 It’s probably no coincidence that a new book of stories written by nurses has been published just in time for Nurses Week: I Wasn’t Strong Like This When I Started Out: True Stories of Becoming a Nurse: edited by Lee Gutkind. Again, like The American Nurse Project, real nurses tell their stories. They are harrowing and mesmerizing stories, spattered with guts and blood and antagonism toward the health care system’s bureaucracy but reflective of the real world nurses live in when they commit to helping their patients. Lee Gutkind states in the Introduction, “Nurses tend to keep their experiences to themselves—-.” Amen, brother. However, we may be seeing an uptick in the willingness of nurses to share their stories. Another great post! Keep going! And Happy Nurses week. Thanks and Happy Nurses Week to all nurses. Those of us who have had the privilege of reading Marianna’s memoir about her life in nursing can’t wait for the book to be published so that others too can be educated and enlightened by her true-grit, transcendent stories. Thanks for you kind words, Carol and for all your support and encouragement to finally get this book completed and published. Once again, you’ve so eloquently stated the nature of nursing over the years certainly raising my awareness. Let’s hope there’s an improvement in sharing the stories. I hope my niece and cousin, both nurses in different stages of their lives, read and comment on this post. Thank you, Linda, for sharing my blog with your niece and cousin. Keep up the good work of getting the news out there. 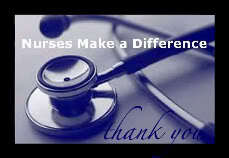 Nurses are the backbone of care and should write/shout it to the heavens!